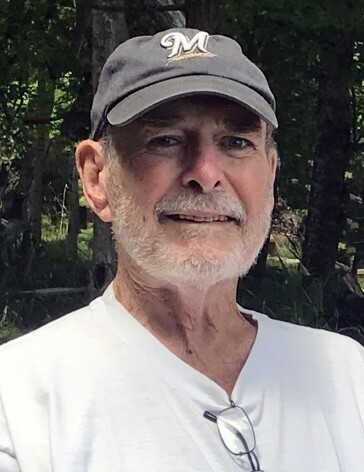 Dr. James Caleb Tibbetts III, MD, “Jim", of the Town of Sturgeon Bay, WI, died at home, in peace, on Wednesday, August 29, 2018 surrounded by the family he loved and who loved him. Jim was born June 21, 1938 in Cleveland, OH to mother, Edith Louise (Raschen) and father, James Caleb Tibbetts II. He graduated from Ann Arbor High School in Ann Arbor, MI in 1956. Jim attended Cornell University in Ithaca, NY, the University of Buffalo, and the University of Buffalo Medical School, both in Buffalo, NY. In 1959, he was set up on a blind date with a woman named “Al Smith”. As it turned out, that date was with Elspeth “Els” Newman of Ontario, Canada. They discovered they had actually met two weeks prior when Jim loaned Els a jacket during a cold day at a race track where he raced Austin-Healey (sports cars). On June 30, 1962, Jim and Els were married in Simcoe, Ontario, Canada and resided in Buffalo, NY. Jim was a patriot and loved the constitution. He was Major in the 44th General Hospital Army Reserve Unit and worked several jobs while in medical school. Jim was so proud of his wife, Els, becoming a Naturalized United States Citizen. Jim and Els have three loving children [and seven fantastic grandchildren]: James IV (Amy) Tibbetts of Janesville, WI [and their children, Dave, John, and Samantha], Jennifer (Matt) Kraemer of Oshkosh, WI [and their children, Bennett and Elizabeth “Libby”], and George (Connie) Tibbetts of Stoughton, WI [and their children, Veronica and Madelyn]. In 1966, he was offered a position in the medical residency program at the University of Wisconsin-Madison, Neurosurgery Department. Jim became Associate Professor at UW-Madison of Neurosurgery and Pediatric Neurosurgery and joined a private practice, Madison Neurological Consultants, operating through Meriter Hospital in Madison. He had many passions to keep him busy when he wasn't caring for his patients. Jim shared his love of the outdoors with his children. He was the captain of the “Outrageous”, his beloved 1973 Boston Whaler Outrage fishing boat. Jim enjoyed traveling, spending time with his family and friends, reading, golfing, gardening, hunting, woodworking, and trying to catch fish. He loved playing Lumberjack, chopping timber all day long to feed the furnace and heat the house. Jim was an avid fan of baseball and loved watching or listening to his favorite team, the Milwaukee Brewers. He also loved watching the Green Bay Packers beat the Bears. In 1998, Jim retired from medical practice. He and Els moved to the home they had built in Sturgeon Bay, WI. At this time Jim developed an additional interest of the culinary kind. He was a master at using every bowl, utensil and appliance in “mom’s kitchen”. He is also survived by three siblings: Susan (David) Tear of Woodhaven, MI, Nancy (Mike) Skurja of San Diego, CA, and John (Betsey) Tibbetts of Amherst, NY; and many nieces and nephews. Jim was preceded in death by his parents; and his three favorite hunting dogs, Babe (a Golden Retriever), Earl (a Chocolate Lab), and Rodney (a Wirehaired Pointing Griffon). His life will be honored with a Mass of Christian Burial held at 11:00 a.m. on Monday, September 3, 2018 at St. Joseph Catholic Church in Sturgeon Bay with Fr. Robert Stegmann and Fr. Anthony Birdsall concelebrating. Burial will be in Clay Banks Cemetery. Visitation for family and friends will be held at Huehns Funeral Home in Sturgeon Bay on Sunday, September 2, 2018 from 4:00 p.m. until 7:00 p.m. and again on Monday from 9:30 a.m. until the time of closing prayers at 10:35 a.m., followed by the procession to church. In lieu of flowers, memorial donations in Jim’s name may be given to the one of his favorite charities: St. Joseph Catholic Church, Wounded Warrior Project, Honor Flight Network, or the American Brain Tumor Association. Expressions of sympathy, memories and photos of James may be shared with his family through his tribute page at www.huehnsfuneralhome.com.